Yokohama Tire's new RL47A radial tire for rigid frame dump trucks runs faster, cooler and longer, according to Bruce Besancon, Yokohama Tire vice president of OTR sales. "It's engineered to help earthmovers get the job done faster and more efficiently, which will have positive impact on the bottom line." The new RL47A E-4, now available in size 27.00R49, is designed to handle faster or longer hauls thanks to the precise heat dissipation grooves strategically placed across the tread. Additionally, specially designed thermal reduction architecture on the shoulder block provides extra heat dissipation. It is offered in four different compound options: CP (cut-protected), REG (regular), CP-S (special cut resistance) and HR (heat resistant). Longer service life and excellent cut resistance are insured by the larger, flatter footprint which distributes weight more evenly. For loaders, underground vehicles and dozers, Yokohama Tire's Y69K L-5S tire now comes in a new size – 35/65-33 - with a CP-S (special cut resistance) compound and steel breaker construction. "The steel breaker construction adds special rubber-coated layers of steel cord between the casing and tread, making this Y69K an incredibly tough tire that can handle punishing terrains," said Besancon. The Y69K features extra casing protection thanks to the thicker upper sidewall - with a square shoulder profile - that's built to prevent damage caused by the rigours of severe service. It also offers longer tread life and greater durability even in the most extreme conditions due to the extra-deep, reinforced tread. Extended service life is provided by the specially formulated CP-S compound which is cut and chip resistant. The Y69K comes in three other sizes: 18.00-25, 26.5-25 and 29.5-29. All feature the CP-S compound. Magna Tyres Group has introduced the new Magna MA02 Scraper tire for both scrapers and graders, engineered and constructed with a unique non-directional E3 rock tread pattern to improve traction and performance. The steel radial construction of the tire ensures more sturdy protective layers, which allows for better load performance and greater operator comfort. Manga says that they have used a new technology in the high-tech casing of the tire which noticeably reduces heat buildup in the tire. It is initially available in three different sizes: 29.5R29, 33.25R29 and 37.25R35, with a single maximum load of up to 23,600 kg. 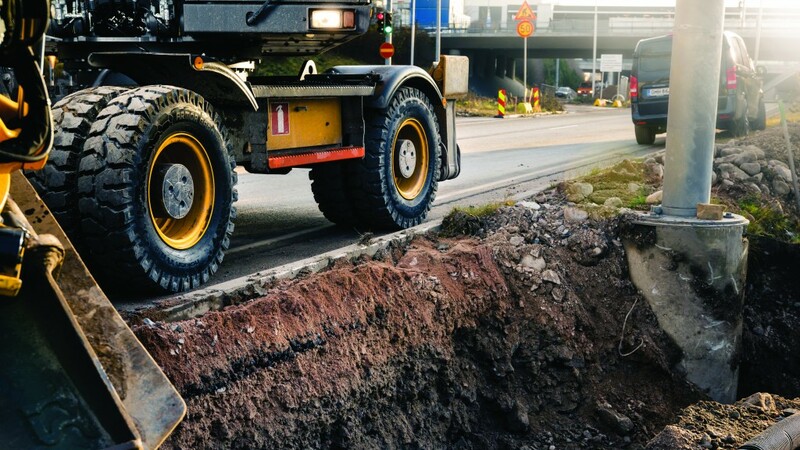 For urban excavation, the new Nokian Armor Gard 2 tire presents better stability and improved lifetime compared to previous generation of Armor Gard tires. It is vertically 25 percent stiffer – this robust carcass design enables optimally stable and smooth excavation work. The new wider tread design lowers the contact pressure and, combined with 12 percent more rubber, provides a longer life. The tires are excellent for long-distance moves on the highway. Insert windows maximize tire cooling and carcass durability and the tread depth indicator makes the tire condition easy to monitor. To get the most out of tires, it is important to monitor them. Continental offers a digital tire monitoring platform, ContiConnect, to do this and have just released the first update to their web portal which now has more functions and improved appearance. The new features link the ContiConnect services directly with fleet operations. New features, which are available to all ContiConnect users, include the ability to set individual notification rules regarding tire temperature and pressure with custom thresholds. This allows fleet managers and maintenance managers to select their own alert notification levels. In the original release of the platform, the Very Low Pressure alert level, which triggers text and email alerts, was set for all users at 25 percent under-inflated. Now, fleets can customize this level to receive text and email alerts when a tire reaches just 10 percent under-inflated, for example. Another new feature is the air filling assistant, which supports precise tire inflation regardless of the tire's temperature. The user is able to toggle between viewing the actual tire pressure and temperature, or viewing a compensated pressure at 68 degrees F to see the cold inflation level. Proper air pressure, measured at cold inflation level, guarantees the highest possible fuel efficiency to save fuel costs, reduces tire wear for long tire life, and helps to prevent tire blowouts for optimal safety. Accessories are needed to maintain tires and ESCO has released an entire line of tire inflators, hose reels, and air hoses to add to their already extensive line of professional tire tools and equipment. In the inflation category, the range includes wall-mounted inflators, dial and digital handheld inflators, as well as a newly designed automatic handheld inflator. The Automatic Handheld Tire Inflator (model 10963) is a rechargeable handheld tire inflation solution that allows for complete inflation of up to four tires at the push of a button. Its rugged design and ease of use makes it ideal for in the shop or on a service truck for any tire inflating situation.